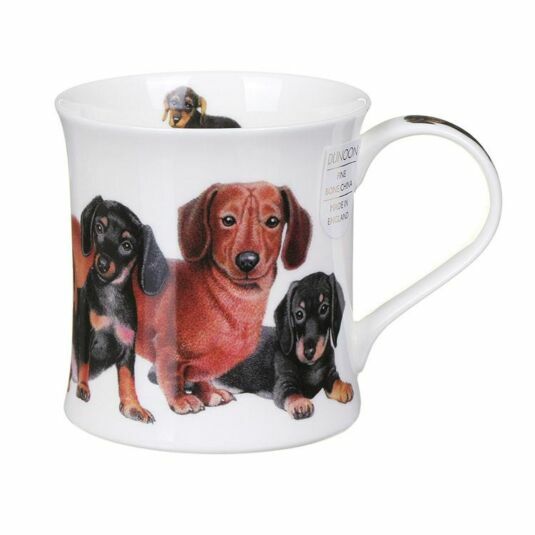 If you can’t resist the adorable nature of a long bodied Dachshund then you’ll love this ‘Designer Dogs’ fine bone china mug from Richard Partis. A pure white backdrop is delicately illustrated with a multitude of both black and tan ‘sausage’ dogs, each varying in age and size from new-born puppy to a full grown adult. A continuation of this design is firstly found on the interior rim of the mug, of which features an innocent looking puppy against the pure white interior and secondly along the handle of the mug, featuring a front on portrait of an proud looking dog. 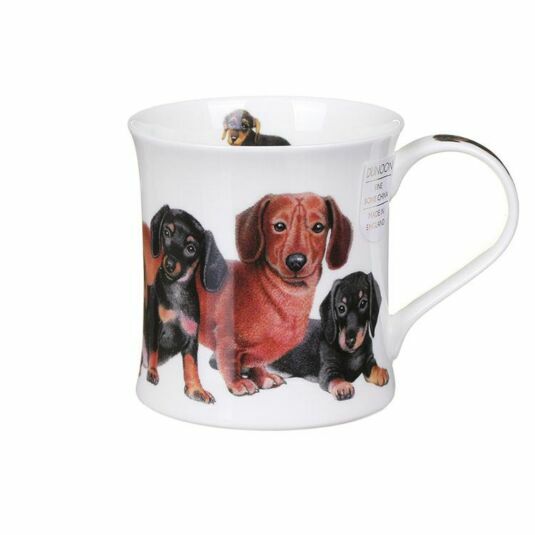 This mug would make a practical gift to both dog and tea lovers alike! Wessex These fine bone china mugs have a capacity of 300ml, and a classic shape which feels good to hold. All designs are both dishwasher and microwave safe, with the exception of those featuring gold embellishment.